Spinal surgery is a specialized from of surgery catering to patients who need to correct some problems in their spine. Your spine is also referred to as second brain of the body and is the area which relays a lot of important information between the body and brain. Spinal injuries are usually fatal and only a few can be cured. Your spinal surgeon is a trained professional who is skilled at performing such surgeries with almost no or minimal loss to you. Established Neuro Surgery Center AIIMS, New Delhi. Established VIMHANS, New Delhi. Past president of Neuro Society of India, Neuro trauma society of India. Indian society of Pediatric Neuro Surgery, Indian society of Cereluo-Vancouver Surgery, Skill base Surgery society of India. Dr. Sogani is presently working as the Senior Consultant, Neuro Surgery with specialization in Brain a Spine Cases. He has about 35 years experience in the specialty. Prior to Apollo Hospital, he was working as Senior Consultant and Head of Neurosurgery Unit in Department of Neurosurgery, Sir Ganga Ram Hospital, New Delhi where he worked from 1984 until 1999. Dr Krishnan qualified from Maulana Azad Medical College in 1976 and went on to complete MS from Central Institute of Orthopaedics at Safdarjang Hospital in 1980. After Senior Residency, he obtained further training and qualifications in the UK, including MCH from Liverpool with Norman Roberts medal, PHD from Royal Postgraduate Medical School and Hammersmith Hospital in London and the UK Intercollegiate Specialty Board Examination of the Surgical Royal Colleges.  Dr.C.M Malhotra is presently working as the Sr.Consultant Neurosurgeon. He has 25 year of experience in the specialities prior to this he was working as Sr.consultant & Co-ordinator & Dept of Neurosurgeon Batra Hospital and Research Centre, New Delhi. As a Consultant, he has been involved in Operations Approximately Two Thousand Case Both in Batra & Apollo Hospitals, New Delhi. Dr.Rajendra Prasad has extensive experience in the field of Neurosurgery and Spine surgery. After graduation in 1978, he proceeded to the United Kingdom to be trained in Neurosurgery. After completing his FRCS, he trained as a Registrar in Neurosurgery at the National Hospital for Nervous Diseases, London and the Nottingham University Hospital. Senior Registrar training was at Frenchay Hospital, Bristol, UK. Subsequently Dr. Prasad did a Spine Fellowship at the Royal National Orthopedic Hospital, Stanmore, London. The Spinal Surgery doctor typically first sees the results of the tests ordered to assess the overall health of the patient. Based on the initial assessment, the doctor would prepare a treatment plan tailored according to the individualized needs of the patients. The treatment plan for Spinal Surgery, its alternative options, the pros and cons associated with each option and the treatment cost is thoroughly discussed with the patient to seek their approval. Once the patient gives his or her consent, the Spinal Surgery surgeon addresses his team members and shares the details of the case with them. The team members prepare for Spinal Surgery and share a scheduled date of the procedure with the patient. The patient is advised to follow a few instructions as given by the Spinal Surgery surgeon. In addition, the Spinal Surgery hospital initiates the formalities and informs the patient about the estimated cost. The patient is accordingly required to submit documents for any insurance claim approval. What is the Spinal Surgery surgeon responsible for? The surgeon is responsible for the preoperative diagnosis of the Spinal Surgery patient, for performing the operation, and for providing the patient with postoperative surgical care and treatment. The surgeon is worked as the leader of the Spinal Surgery surgical team.